45 YEARS IN BUSINESS! 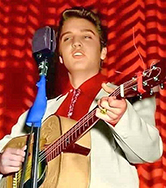 APRIL 26, 2019 NEW FTD RELEASES FTD is coming out with a new 2 CD set - ELVIS: FROM GEORGIS TO FLORIDA. Please go to FTD CD page. 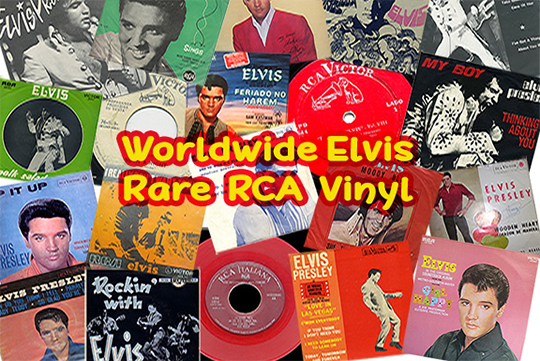 WORLDWIDE ELVIS RARE RCA VINYL This Facebook page is for Elvis collectors to post RARE Elvis 78's, singles, EP's, LP's and promotional records ONLY ON THE RCA label mainly from the 50's, 60's and 70's. Please don't bother putting any common releases or current vinyl up as this page has only been started to showcase very rare and unusual records from around the world on RCA ONLY!! Anyone who has any Elvis vinyl from Angola, Bolivia, Colombia, Ecuador, Egypt, Lebanon, Madagascar, Pakistan, Trinidad, Venezuela (especially early releases) would be most appreciated here as not much is known about these countries. Sorry, NO bootlegs, no Chinese, Malaysian, Far East type counterfeits or pirate records on Elvis. Please go to HERE.